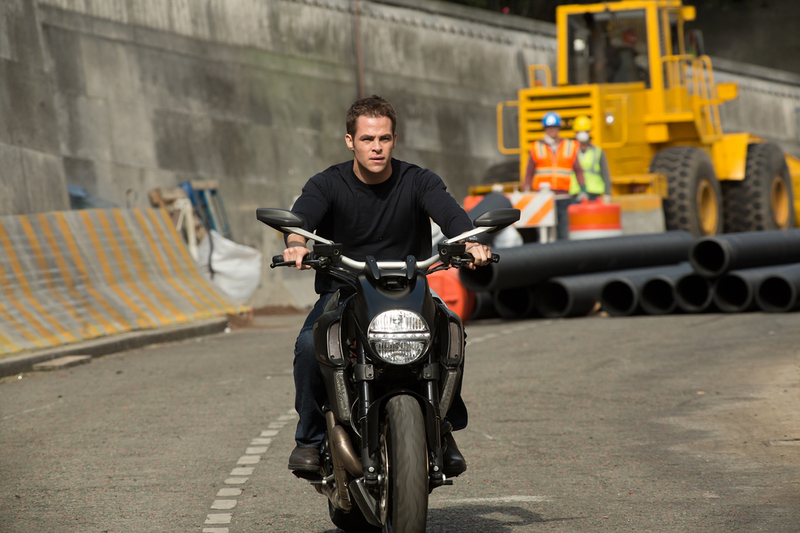 Following on from predecessors Alec Baldwin, Harrison Ford and Ben Affleck, Chris Pine is the latest actor to take on the mantle of the late Tom Clancy’s CIA analyst in Kenneth Branagh’s Jack Ryan: Shadow Recruit (2014), a safe series reboot which takes the character unsurprisingly back to his roots. We are first reintroduced to our eponymous hero as just another helpless college student watching 9/11 before fast-forwarding three years to a marine-clad Ryan serving in Afghanistan. When he is seriously injured on a mission, he has to undergo intense physical therapy to even have a hope of walking again. It’s here he meets Dr. Cathy Muller (Keira Knightley) and shadowy agent Thomas Harper (Kevin Costner). Ten years pass, and Jack is working as an undercover CIA analyst in Wall Street ferreting out possible terrorist threats by analysing data whilst also trying to convince Cathy, now his girlfriend, to marry him. J.J. Abrams’ Star Trek reboot was a surprise hit back in 2009, satisfying diehard fans as well as being accessible to newcomers. Four years on, the follow-up Star Trek into Darkness is one of the most anticipated films of the year. Thankfully, the sequel takes everything that was great about its predecessor and amplifies it, in doing so producing an entertaining thrill-ride of a movie that is one of 2013’s must-see blockbusters. The UK release of J.J. Abrams eagerly anticipated Star Trek Into Darkness is only seven days away. Ahead of this evening’s London premiere, the cast, director and writers gathered in City Hall for a press conference where there was talk of the challenges of making a bigger and better sequel, Scottish accents, and hairstyles. To read the rest of this article at Yin & Yang, click here. As the annual summer blockbuster season draws ever nearer, more and more previously confidential information on some of this year’s biggest releases are now beginning to be revealed. The latest to get in on the act is J. J. Abrams’ sci-fi sequel Star Trek into Darkness (2013). It seems more than likely that Abrams, who will now also be directing Star Wars: Episode VII, won’t be returning for any future Star Trek sequels, such is the competition between the two rival franchises. However, everything we have seen thus far suggests that he’ll be leaving this current franchise on a high, and a mouth-watering second full-length trailer released online today gives further credence to the early impressions. As 2012 draws to a close – some might argue a disappointing year for the big budget Hollywood blockbuster – the first pieces of promotional material for the prominent releases of summer 2013 are already being unveiled online this week. The latest is the first mouthwatering teaser trailer for J. J. Abrams’ Star Trek Into Darkness (2013), a direct sequel to the impressive Star Trek (2009) that successfully revitalised the ailing sci-fi franchise. 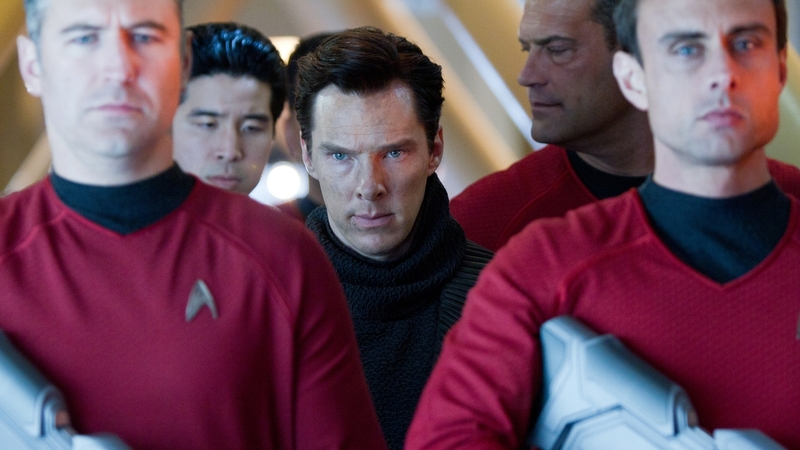 Images from the set revealed that British actor Benedict Cumberbatch would play the sequel’s central antagonist. What’s more, the full trailer will be released online next week, but today we have our first look courtesy of a short teaser – and it’s certainly a tantalising one. 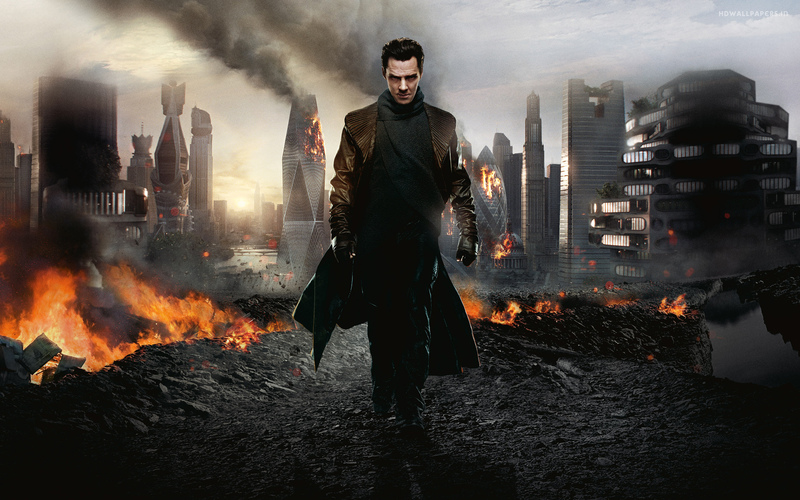 Watch the trailer for Star Trek into Darkness at CineVue here. Just in time for the holiday season comes DreamWorks Animation’s second feature of the year,Rise of the Guardians. Based on the series of books by William Joyce, this story of childhood heroes uniting to stop a common threat often feels like the child version of the Avengers, and it will doubtless entertain many a young audience as Christmas approaches. However, although it makes for fun viewing, Guardians is ultimately bettered by many of its contemporaries. Read the rest of this review at Yin & Yang here.